This February, Hulu is going TV crazy. Have you been burned by other streaming services that seem to constantly bleed old TV shows? 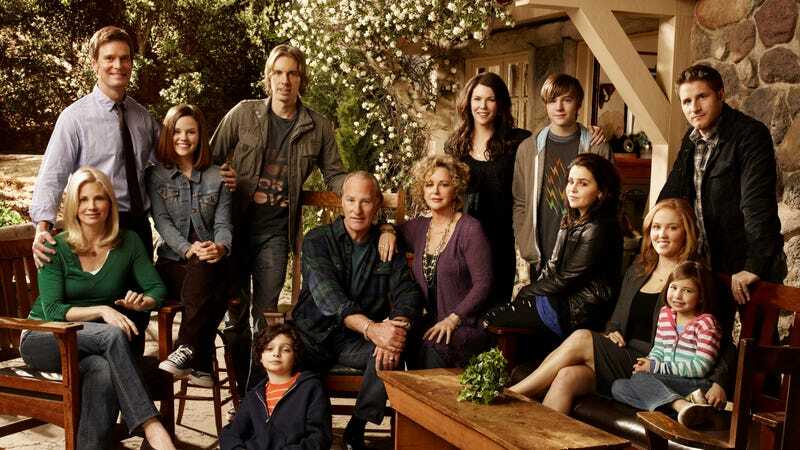 Have you always been meaning to burn through all of Everwood, One Tree Hill, or Parenthood? Then Hulu will have something for you in February—specifically the complete runs of Everwood, One Tree Hill, and Parenthood. Hulu subscribers will also be getting the premiere of new Hulu original The Looming Tower and the streaming debut of Kathryn Bigelow’s Detroit. Then there’s all of ER, which just hit Hulu as a surprise today. Hulu is also getting The Warriors, Sin City, The Hurt Locker, The Good The Bad And The Ugly, and the complete run of Cougar Town. It February will also be Hulu subscribers’ final chance to watch Hot Rod, Punch Drunk Love, and Beyond The Sea (which is probably for the best, considering who directed and starred in that one). The full list of what’s coming to and going from Hulu in February is below. Hulu orders "monthly horror anthology," since that sounds cooler than "some short films"